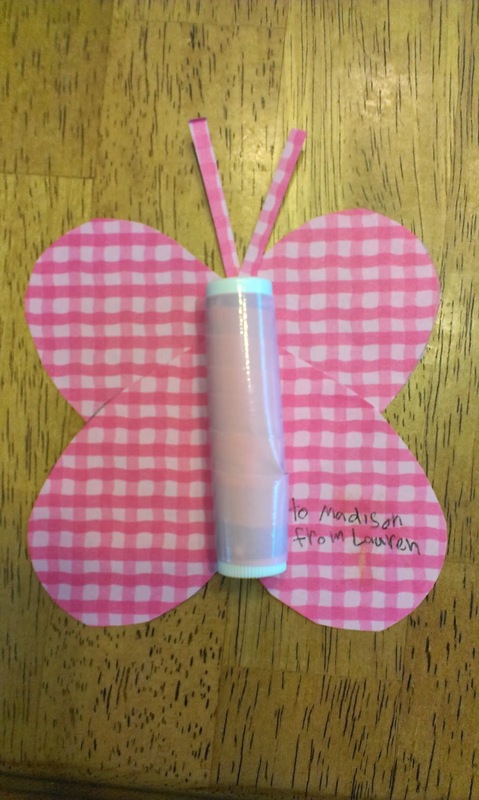 Savvy Spending: Make your own Butterfly Valentine's Cards with Chapstick! 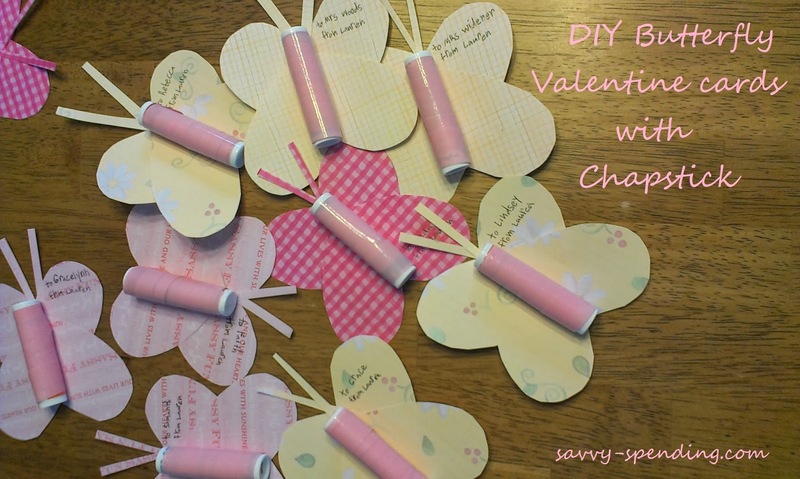 Make your own Butterfly Valentine's Cards with Chapstick! As usual, we made our own Valentine's to pass out again this year (...even though we homeschool, the girls enjoy passing out Valentine's to their friends at our Homeschool Co-op and at church). 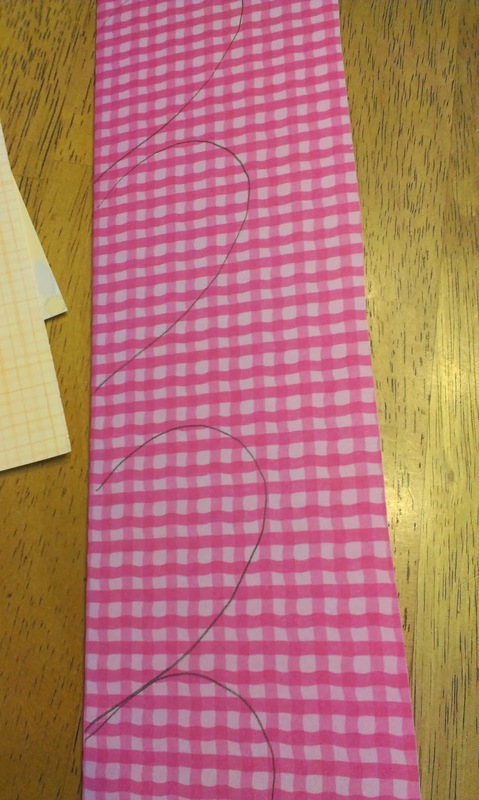 I know you can get inexpensive Valentine's these days at the Dollar Store, but it's always fun to make your own and be crafty with the kids! 1) We had some free chapstick I received from a promotion, so we used that as our gift, instead of candy. 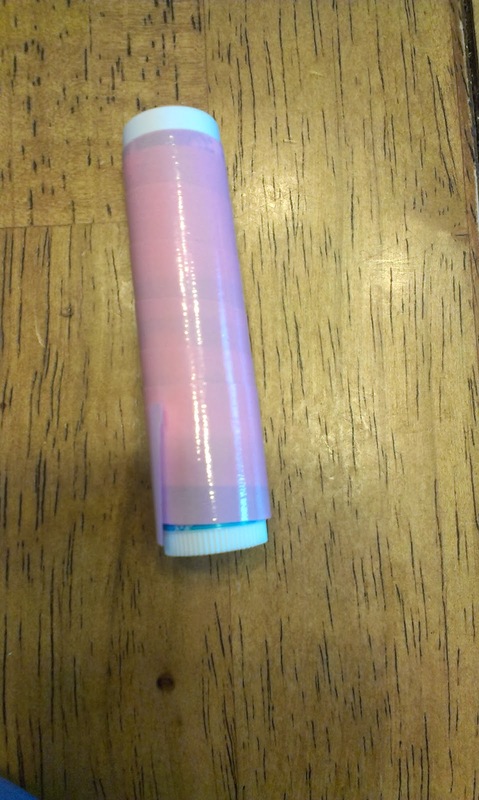 Since the chapstick wrappers had a winter/Christmas theme we covered them with pink ribbon. 2) Next we cut out two hearts for each butterfly and two skinny strips of paper for antennae. 3)We taped everything together and addressed them to friends! Easy and really fun to assemble! The Dollar Store sells pack of Chapstick, so you could pick some up and make your own Valentine's!